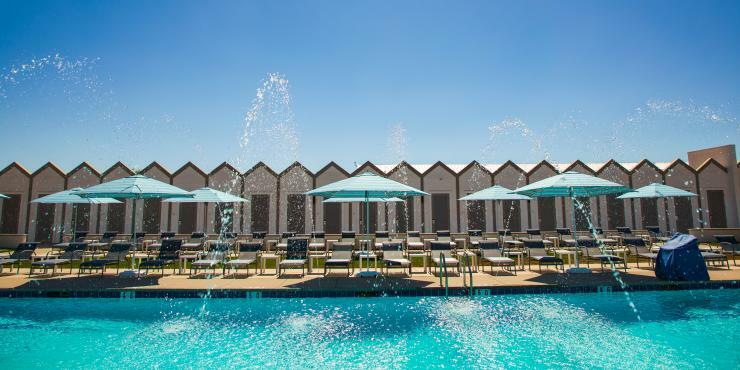 The Temecula Valley Wine Country, celebrating its 50th year, is fast becoming one of Southern California’s hotspots and a travel must. Along with its engaging Old Town, luxurious casino and incredible wineries and breweries, one of the city’s most enduring charms are the hot air balloons that can often be spotted rising over the mountains. 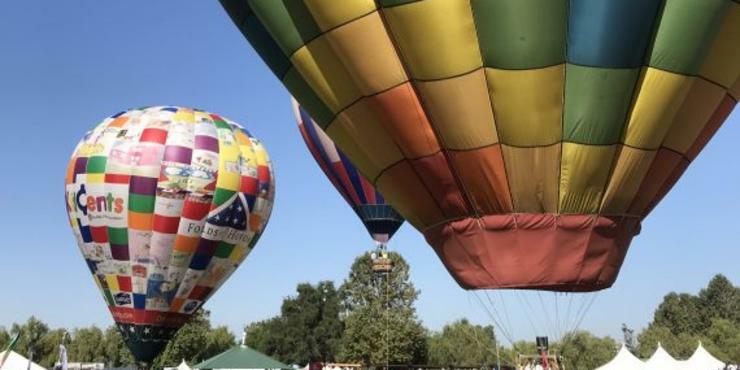 And no time of year is better to see them than the annual Temecula Valley Balloon & Wine Festival during the first weekend in June. 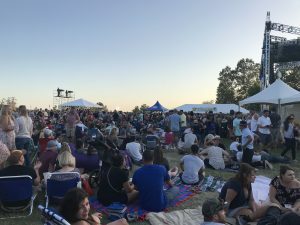 Held at the Lake Skinner Recreation Area, the three-day festival features balloon liftoffs, tethered balloon rides, evening balloon glows, an array of concerts, festival shopping, activities for the kids and wine and beer tastings for those over 21. 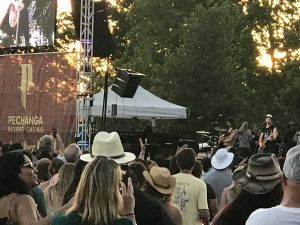 SoCal enjoys its fair share of festival bliss—including Coachella and Stagecoach—but Temecula puts its own thrilling spin on the summertime party circuit. 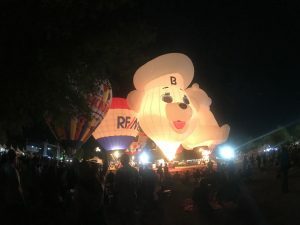 About 35 hot air balloons lift off into the sky at 6:30 am on Saturday and Sunday—and even if you don’t choose to sign up for a ride, the sight of all these balloons in the air is breathtaking. At about 7:30 am, festival attendees have the opportunity to ride in a tethered hot air balloon. (Be warned: the line starts early and is long). Tethered rides are included in the price of admission and are not to be missed—whether you’ve already been on a hot air balloon or are testing out your fear of heights with the assurance of knowing you are still tied to the ground! Rides can last up to ten minutes long and can reach heights of 35-75 feet—although this also depends on the weather. As the winds start to die down, the balloons can’t fly. On Friday and Saturday evenings, attendees are treated to a magical evening glow with several hot air balloons. With the balloons lighting up along with music, festival-goers are asked which balloon might be their favorite. 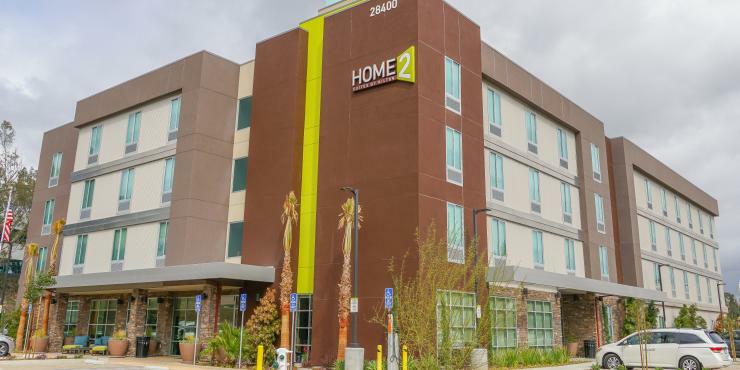 It’s easy to see why this is always a difficult choice—between long fan favorites such as the wine bottle shaped Wilson Creek balloon, or balloons in the shapes of bears and those of the Pechanga Resort. 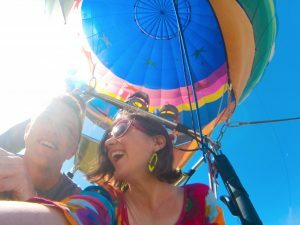 Of course, what goes better with hot air balloons (and perhaps your fear of heights) than copious amounts of wine and beer? Sample what is turning Temecula into the next hottest wine and beer destination by letting the vendors come to you. Samples are $2 and glasses are $8. 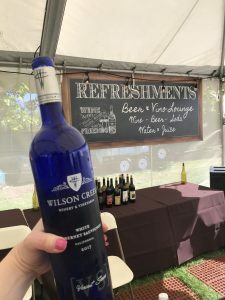 Notable wineries that participated included Wilson Creek Winery, Wiens Family Cellars and Thornton Winery. Sling back a drink with friends and enjoy the sounds coming from not one, but two music stages with an incredible lineup this year that included such 90s power bands The Wallflowers, Sugar Ray and Spin Doctors—as well as Hoobastank, Lifehouse, Fuel and country crooners Justin Moore, Raelynn and Tyler Farr. Missed out this year? The next Balloon & Wine Festival is less than 12 months away so be sure to keep it in your calendar for the first weekend of June in 2019. 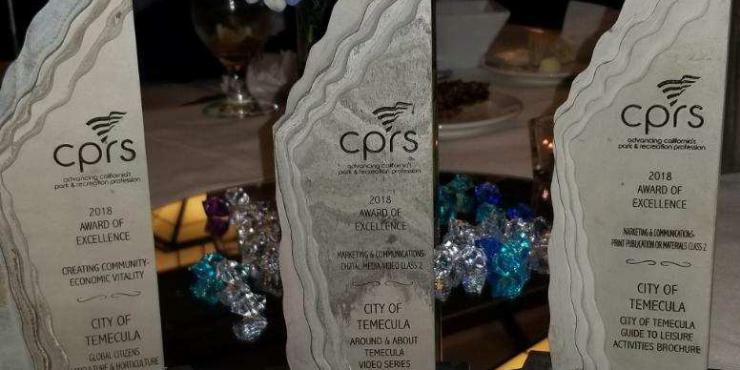 And in the meantime, you can still get to enjoy the top-rate wineries, breweries and hot air balloons all year round.